Whether your problem is slippery concrete steps, dangerous floors in garages or parking lots, or walkways that lose traction when wet, non slip paint for concrete will provide the safe surface you need. Rather than waiting for an accident to happen, why not protect yourself against them with these coatings that are easy to apply and won’t break the bank. In this article we outline the top anti slip paint for concrete for different applications, as well as looking at how the different products work and some non slip alternatives. 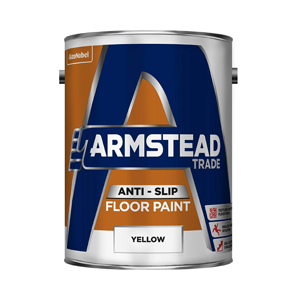 Below we look at 4 of the top-rated anti slip paints for concrete available in the UK. These each have their own strengths – stairs, walkways, chemical resistance etc. – and so we have described them based on these. For more information about non slip paints and how they work, head to our non slip page. A hard working anti slip that will provide slip resistance to concrete, metal, and wood. The surface profile is sufficient for making ramps and staircases anti slip, and it is available in bright colours for visibility and safety. Particularly suited for access ramps, staircases, walkways, etc. Floors and stairs are by far the most common surfaces where slip resistance is required. Therefore, non slip paint for concrete is usually suitable for both surfaces. There are however, some points to keep in mind. 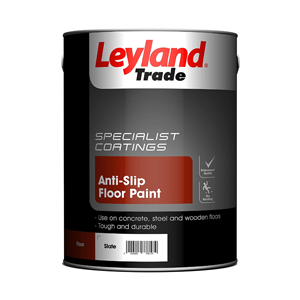 Anti slip coating reduces slippery surfaces at home, work & in public places. 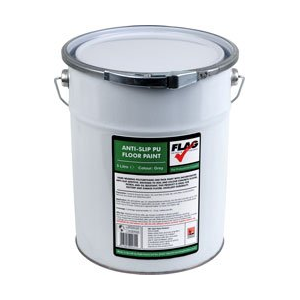 2K anti slip concrete paint: applying floor coating that contains anti slip grit. The most suitable method is dependent on the location, condition and size of the floor surface. The coating is additionally affected by the need for slip resistance: some areas require higher profile coatings to meet the standards set for slip resistance. Also concrete stairs and steps must be made anti slip, for the severest injuries during working hours are caused by falling from stairs. 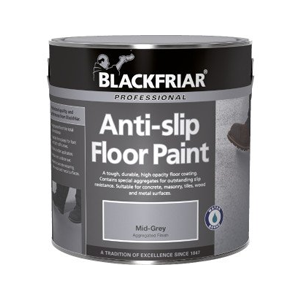 The non slip paint for concrete steps can be a floor coating due to the fact that often the same products are suitable for floors, steps and stairs. However, keep in mind that the anti slip paint for concrete steps must be extremely abrasion resistant due to high foot traffic on the surface. In addition to non slip coatings, stairs and steps can also be made safe by alternative methods including strips and tape. 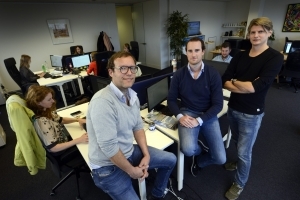 You’ll find more information on the alternatives on the bottom of the page. 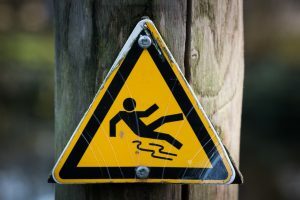 When an industrial or commercial floor does not meet the safety standards, the risks of a fine or injuries and getting sued increase. Often the looks are wished to be retained or investing in a safety floor is not on top of the list because installing it would mean downtime. Anti slip concrete paint can solve your problems! Here are several UK companies that can solve the problem for you by applying anti slip concrete coating on unsealed, sealed or painted concrete floors and stairs. As concrete can be a difficult surface to treat and the product range is wide, our coating specialists are here to help you! 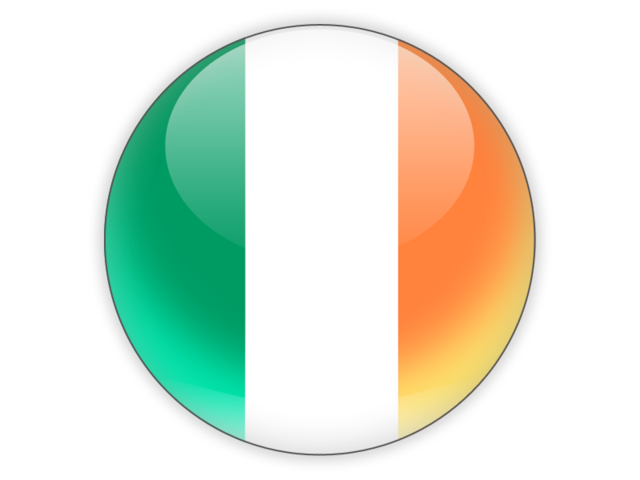 Do not hesitate to contact us for advice on choosing or applying the product. We are also happy to provide you with a quotation on an anti slip coating for concrete products and application. Anti slip coatings are not the only non slip solution for concrete. Sometimes, anti slip strips or mats might be more suitable options for creating an anti slip concrete surface. When small areas (such as ramps) are dangerously slippery, strips or mats may be useful and more cost efficient than coating. However, coatings often create a more durable, chemical resistant surface which endures heavy mechanical loads and abrasion better than other anti slip solutions. Here are some examples of alternatives for anti slip coating accompanied by price indications. Apetape Self adhesive black anti slip tape 50mmx18m £7.30 Suitable for stairs (wooden, metal concrete etc. ), work areas, machinery, bathrooms etc. Rubber Matting company Checker plate non slip rubber flooring. 10mx1.2mx4mm £210.00 A rubber flooring for heavy duty areas. Did you know? – Amazon has over 1,000+ paints and coatings available, the largest selection in the UK! Browse through the entire offering of over 1,000+ paints and coatings here! And don’t worry, the link will open a new tab so you can easily keep reading the information here. With our experienced paint and coating experts we try to recommend the best paints and coatings for your needs. Buying paints online can be tricky, this is where we shine a light.